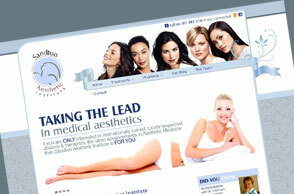 Moving with the times, Sandton Aesthetic Institute can be found on Facebook, on our Blog and now on the upgraded WEBSITE. Sandton Aesthetic Institute worked closely with E-dot Web Technologies and we leaned heavily on their artistic input, design genius and “search engine optimisation” know how. Thank you to Steve and his team, the site is superb, your level of professionalism beyond compare and we will gladly recommend your services to anyone who will listen. We would love some feedback on the new site, please let us know what you think?